The term "Circular Economy" is becoming familiar to an increasing number of businesses. It expresses an aspiration to get more value from resources and waste less, especially as resources come under a variety of pressures – price-driven, political and environmental.Delivering the circular economy can bring direct costs savings to businesses, reduce risk and offer reputational advantages, and can therefore be a market differentiator – but working out what counts as "circular" activity for an individual business, as against the entire economy or individual products, is not straightforward.This guide to the circular economy gives examples of what this new business model looks like in practice, and showcases businesses opportunities around circular activity. 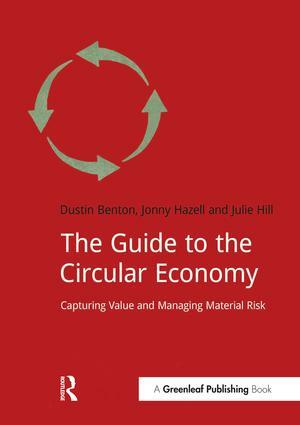 It also: explores the debate around circular economy metrics and indicators and helps you assess your current level of circularity, set priorities and measure success; equips readers to make the links between their own company’s initiatives and those of others, making those activities count by influencing actors across the supply chain; outlines the conditions that have enabled other companies to change the system in which they operate. Finally, this expert short work sets the circular economy in a political and business context, so you understand where it has come from and where it is going. DōShorts are a collection of concise, high-quality books for professionals, including a guide to the circular economy, the use of digital media in brand-builidng, integrated reporting, and how-to guides on producing a sustainability report, measuring a building's energy use, and valuing natural and social capital. They address one sustainability challenge at a time and can be read in 90 minutes. We aim to make those 90 minutes deliver value on a par with an expert seminar or master class. The collection includes practical how-to guides as well as framework pieces and business briefings that give an expert overview of cutting edge developments in a wide range of fields.